In this third installment of Emma Darcy's Who Killed? series, K. C. Gordon finds herself entangled in yet another whodunit, this time involving Hollywood starlet Camilla Page, who is murdered on an idyllic Australian resort on the eve of her wedding to opportunistic Australian cameraman Jimmy Ryder. The talented Stephanie Daniel is more than up to the task in portraying the diverse cast of Hollywood players at the wedding, all of whom K. C. soon finds out have their own motives for making sure that Camilla never steps in front of a camera again. Daniel's captivating performance makes this a must-listen for mystery fans everywhere. From the author of 80 internationally successful romances comes a Golden Age mystery in the tradition of Agatha Christie. 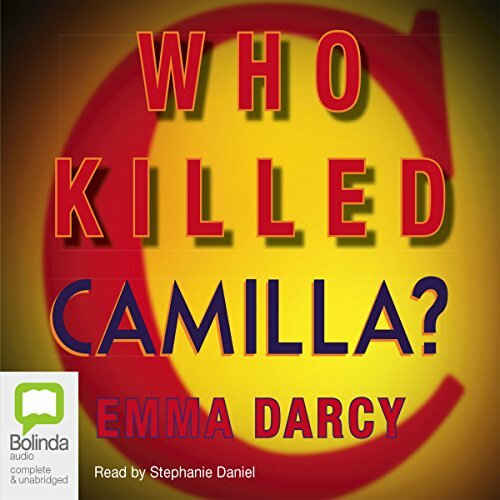 What made the experience of listening to Who Killed Camilla? the most enjoyable? What other book might you compare Who Killed Camilla? to, and why? the other book in the series that I have read - Who killed Bianca. Which character – as performed by Stephanie Daniel – was your favourite? A great job by Ms Daniel. She put heart into all of the characters which is what made it so enjoyable. Do you think Ms Darcy might be persuaded to do more of these?